One of the most bizarre and awesome contradictions of human evolution is that we continue to create and indulge in increasingly fatal ways to amuse ourselves. Our gene pool has seemingly neglected the repercussions of the lifestyle choices of adventure nuts. A lot of you, you know who you are, would voluntarily hike for miles to peek inside a bubbling volcano and deliberately pedal down a mountain route, explicitly named the ‘Death Road’. If you wander our crazy, beautiful planet in search for your next daredevil do, then India may surprise you with its catalogue of destinations. Tripoto brings you 10 reasons why India is a grossly underrated adventure destination. 1. New Zealand is a fantasy for a host of outdoor fun. Here’s a picture of an overjoyed skydiver in Kaikoura, minutes from touchdown. 2. Treh in France is a famed paragliding destination. Adventure-seekers worldwide flock to Treh for the thrill of gliding over the rolling green hills. 4. Aspen, Colorado is renowned for its world-class slopes and multitude of terrains for powdery gallivanting. 5. Wanna race on extremely bumpy, unsafe roads, in extremely bumpy, unsafe vehicles? 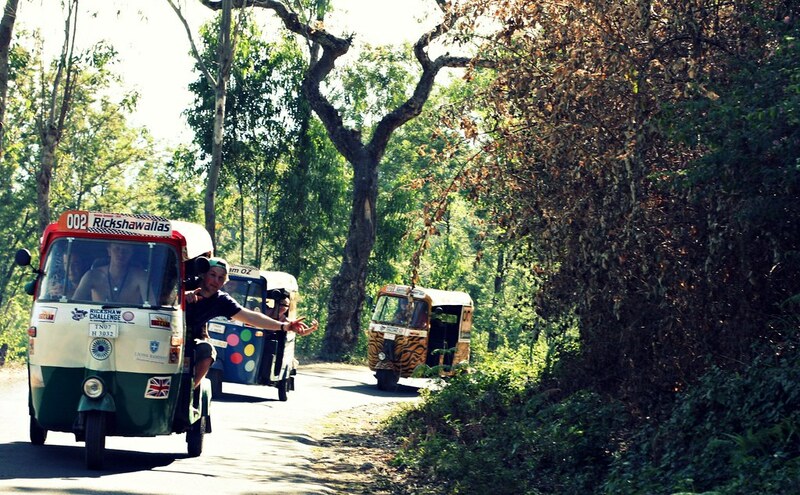 Take the Rickshaw challenge in South India. 7. The Colorado river snakes through the Grand Canyon, carrying hoards of rafts and canoes on one of the most iconic river routes in the world. Have your desert spirits met those from the shifting dunes of Rajasthan? 9. 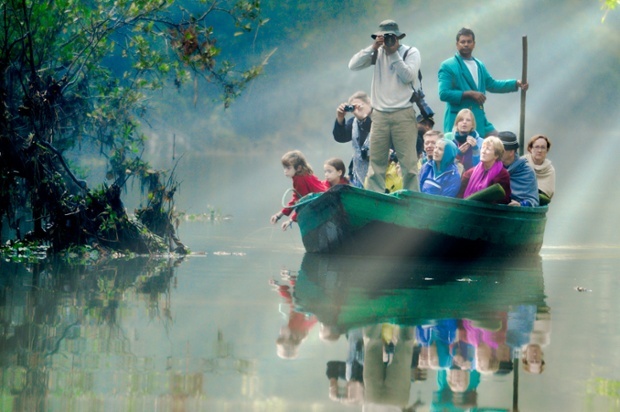 The excitement of meandering into the unknowns of the Amazon, amidst the expanse of the legendary rainforests has captivated the spirits of adventure seekers worldwide. How about the Sunderban Delta, the home of the Bengal Tiger? 10. 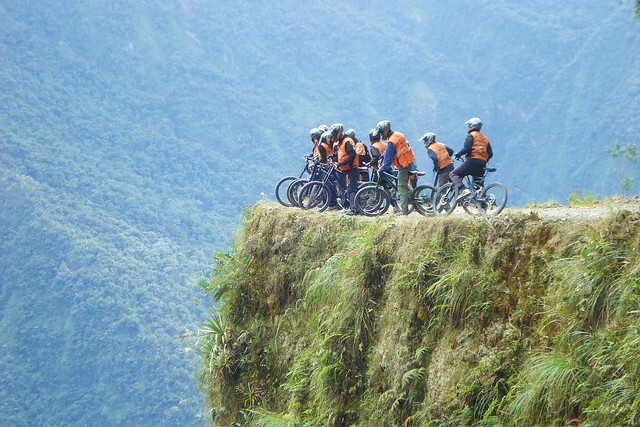 And lastly the ‘Death Road’ in Bolivia. Cycling down this dramatically named route is exhilarating, but many synonyms for ‘deadly’ come to mind when describing the cliff faces, the blind curves and the vertical drops. Mortiferous? Now, look at this picture from Ladakh. Mortiferous enough? Are you ready for the Great Indian Adventure? Tripoto is the World’s largest community of Travelers. Share your own travel stories on Tripoto and inspire travelers from around the world. Made me realise there is just so much to do in my own country! That’s the reason I have not applied for a passport, I want to see my India, I don’t think I shall be able to finish the whole country, even when I am travelling for 10-15 days per 6 months. I have yet to explore the Central, Eastern, N.E., etc. I recently discovered my passion in traveling and discovering new type of places. Excellent photographs . I love travelling .Good to know about this site . Truly a beautiful comparison ! India has it all and in good International comparative budgeting. From the Mountains to the plains and from the cities to Jungles and forests. From the Beaches Oceans and Seas to lovely lakes and Rivers . Keep discovering in leisure or Adventure. Not to mention the Pilgrimage spots,cities and towns ! Some may not understand,relate and enjoy. But its mostly worth every breath and breadth of this majestic country.